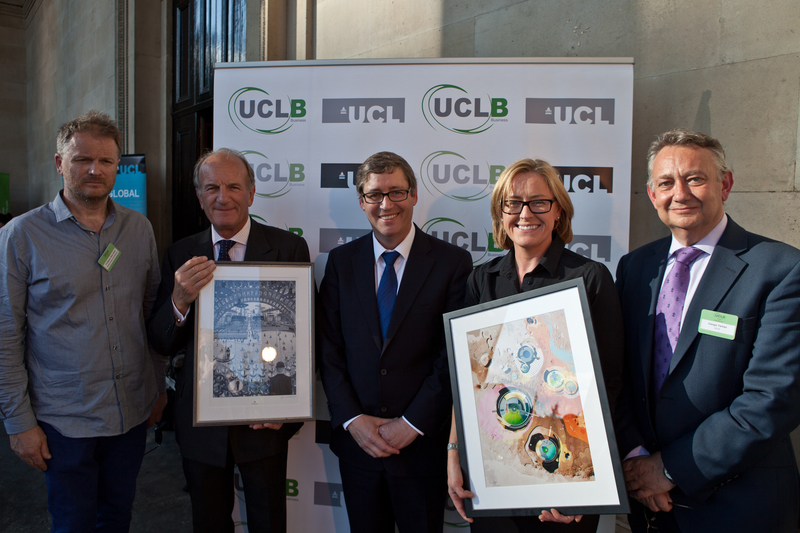 On Tuesday 1 July 2014 UCLB hosted its Annual Summer Reception. 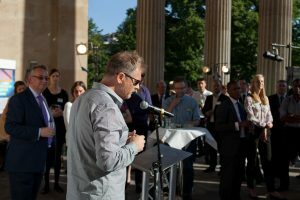 The evening was set against the backdrop of the neo-classical UCL Portico and the newly renovated Flaxman Gallery. The event provided an informal networking opportunity for UCL’s researchers, guests of UCLB including representatives from UCL’s spin outs, industry, venture funds and many other collaborators to promote UCL Enterprise and demonstrate the benefits of technology and commercialisation taking place at UCL. Mr Tarhan then welcomed Professor Bob Sheil, Director of The Bartlett School of Architecture, UCL who invited guests to attend a private viewing of the prestigious Bartlett Summer Show at the Slade School of Fine Arts. The show provides an opportunity to view the works of promising emerging talent at The Bartlett School of Architecture. 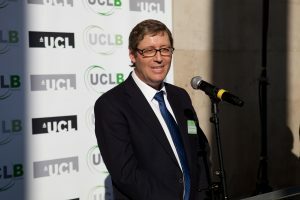 The final speaker was Professor Stephen Caddick, Vice Provost for Enterprise, who spoke about the importance of technology transfer and UCLB’s successful role within the university. The presentations were wrapped up with the winners of the UCLB prize draw. This year’s winners were Trish Greenan, Director at UCL Consultants and Mr Chris Marsh from Novella Communications, who each received an exclusive signed print from The Bartlett.